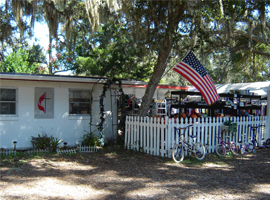 The Thrift House & Boutique is a small cottage of about 1200 square feet. We utilize every inch of our facility by being creative and organized. We are blessed by strong church participation and generous community donations and support. And in turn, we are able to support not only our church and local community needs, but 35 other faith-based charitable organizations. We are concerned with our community and we do our best to recycle the items received; preventing the items from heading to the Geneva Land Fill! New items, antiques and collectibles: Decorator pieces and designer labels, formals and dress up shoes, craft and hobby items, sports and exercise equipment, electronics, and the eclectic or unusual item. Stocking the shelves you might find: Decorations for any holiday, vast array of books by author, bibles of all faiths, greeting cards, linens, china & dishes, glassware & stemware, flatware, cookware, pots & pans, clothing & shoes by size, hats, purses, toys, games, puzzles, and tools. Shoppers: Bargain savvy treasure hunters and brand label shoppers are always welcome. Donations: Anything of use or resale value. 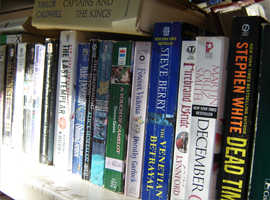 What we sell the most of: Clothing, Paperback books, Music, CDs and DVDs, Towels, Hotel size toiletries, Jeans, Shoes, Boots, and Purses (All in GOOD to NEW condition). Volunteers: To donate time, energy and expertise. We sell rare and unusual items on eBay. The Thrift House is a non-profit mission of the First United Methodist Church of Geneva, which serves the local Village of Geneva. It was started in June 2006 through the Lucy Fore Memorial Fund and assisted by the Ed Yarborough Land Fund. The facility was previously a small cottage which was refurbished by the men and women of the church congregation. The ladies of the Geneva Village Homemaker's Association donated countless hours toward the original setup and organization of merchandise. Since 2006, The Thrift House & Boutique has helped local infants, children and families with urgent needs during crises. We help a family on its way to self-reliance during personal emergencies by providing interim assistance with food, clothing, and household items from our store. We also maintain a networking roster of other local churches and facilities which may assist individuals in other areas. We are a small private church facility with deep faith and great passion for our fellow man. For directions to our boutique, please click here.